Made it home to Glasgow after a busy weekend in London running the Neolithic Art workshops for children at the British Museum’s Samsung Digital Discovery Centre. It was loads of fun and the kids did brilliantly – they were great at guessing the answers to my questions in the prehistory gallery, made some lovely wee Neolithic artefacts in clay, then totally nailed it at the photogrammetry section of the workshop producing some impressive 3D models of their artefacts! 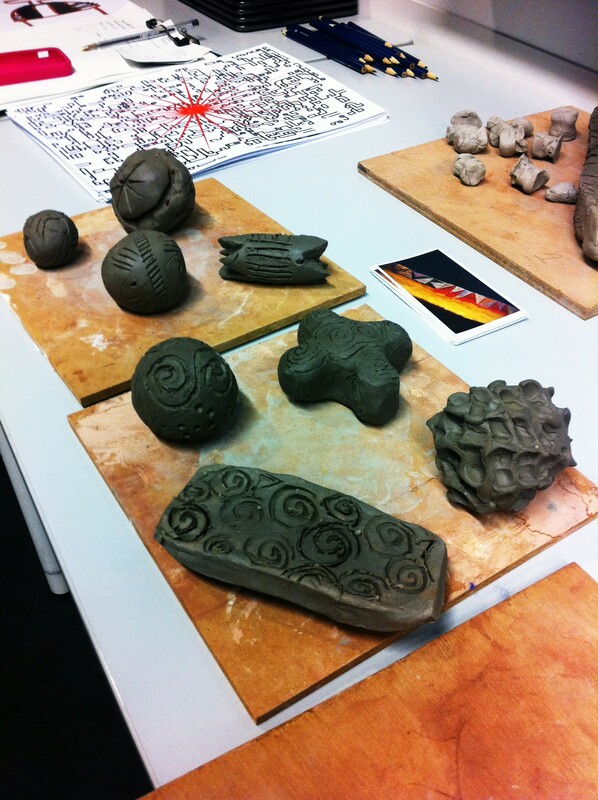 Some of the brilliant Neolithic artefacts made by the kids – yes everyone got messy, and yes it was worth it. The highlight of the weekend for me had to be the wee girl who made a face when I confirmed that, yes, archaeologists do have to work in the rain and mud – but decided she wanted to be an archaeologist after all when I reassured her that the rain and mud didn’t matter because sometimes if the weather gets really bad we get to sit in the site hut and eat chocolate biscuits. I’m really happy that my love for both archaeology and chocolate biscuits has finally been validated by the future career choice of one 5 year old girl. My work here is done. Hee, fantastic! Wish I could have taken that workshop. I like making messy things. They look cool!